The Queen Gets a Makeover…. | don't bite the apple…work is not a fairy tale! ← Wellness Program for the Kingdom! The Queen Gets a Makeover…. Once Upon a Time the Queen needed a makeover…. She’s more Celtic, less Disney and drawn from my imagination by an amazing illustrator’s hand. She’s what I wish I looked like in cartoon form. It was time for change and for everything to mesh. Yes Kim, I’m finally listening. 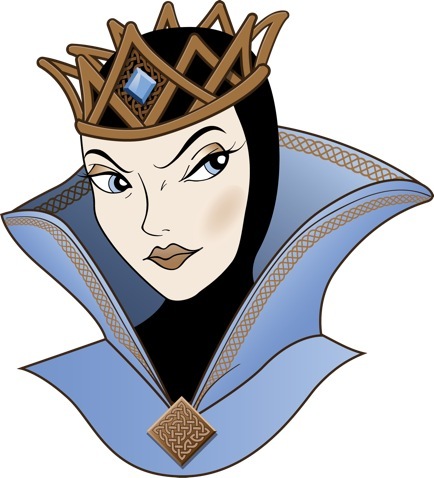 Big changes are coming soon, so I wanted to start by sharing the New Evil Queen with you. Thanks so much to Julie with Pen and Mouse Design House for creating her over coffee and understanding what I meant by “Me, with higher cheekbones and less chins”. Thanks to Kim at Gilmore Marketing for creating my branding and pushing me to make the Queen different. She now does your creations justice. And Thank You to Danielle Mains with Mains Photography for taking amazing pictures and helping create the media layouts. You ladies are all amazing! This entry was posted in Uncategorized and tagged changes, human resources, makeover, updates. Bookmark the permalink.